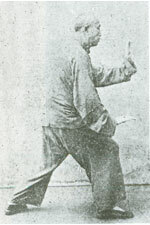 The Origins of Tai Chi are shrouded in legend. And over time, many different styles of the art have evolved. 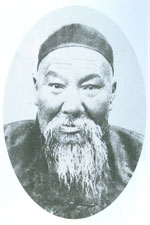 Yang Lucan (1799-1872) was the founder of the Yang style of Tai Chi. 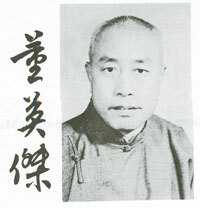 The Yang family would go on to produce an unparalleled four generations of Yang School Tai Chi masters. 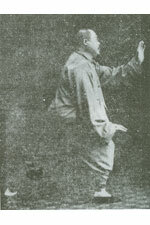 It was Yang's grandson, Yang Chenfu (1883-1936), who created the form that is know as Yang style Tai Chi Chuan. 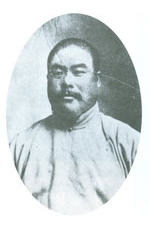 While Yang Chenfu's son, Yang Shouzhong (1909- ? ) is a master in his own right. 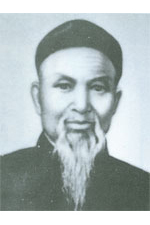 It was Chenfu's own student Dong Yingjie (1880-1964), who was the better known contemporary teacher of his time and under whom Grandmaster Pang studied. Physically you can be in only one place at a given time, but spiritually you can be everywhere. When you practice by yourself you have to realize your physical limits; if you realize your physical limits you are no longer limited by them; although the physical improvement is limited, your spiritual improvement is potentially unlimited. The Tao is moving, is everywhere. As a general rule, when something becomes more popularized the quality goes down and misinformation soon circulates widely. But it requires many years to correct that misinformation. Tai Chi Chuan has gained popularity in the U.S. only during the last quarter century; yet already much misinformation has spread regarding how Tai Chi Chuan should be practiced. 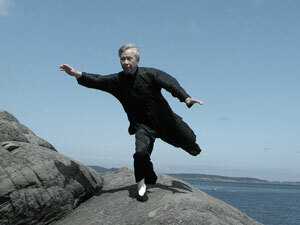 Tai Chi Chuan is different from other self-defense arts, and from ordinary kinds of exercise. 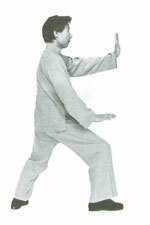 Tai Chi Chuan has a smooth, gentle, graceful movement; but this does not mean that it is effortless. When we practice Tai Chi Chuan the mind has to be calm, so that all the intellectual and psychological burdens of the mind disappear; then the mind is free. In the movements your legs should be strong, yet you use just enough power for the movements to be alive, not limp. When you practice your mind is listening and seeing and feeling your movement with you; this is inner seeing, inner hearing and inner feeling. Gradually, match your breathing to your movements. This means that in your movement you do not struggle, rather, you listen to your body, you accept your body, moving gently, gradually, so you know your body. Through movement you can release the tensions of daily stress and the accumulated tensions from your lifetime activities. Through the practice of Tai Chi Chuan you learn to relax your body. There is a popular claim that Tai Chi teaches you to gain something. 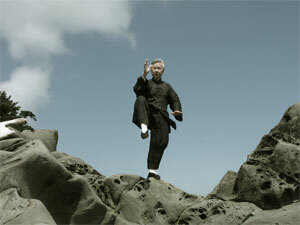 According to some people, through Tai Chi you gain power, skill, relaxation, and so forth. But if you have this kind of desire or hope, if when you practice you have expectations, then you have fear within you and your mind is not calm, is not peaceful. When you are peaceful, you are yourself through the practice; peaceful mind, skill, and health are just by-products. Those people who are using Tai Chi to try to gain this or that do not really understand Tai Chi Chuan; those people who promise you Tai Chi Chuan can do this and that, do not really know what Tai Chi Chuan is. Another misunderstanding is the so-called "concentration". It is wrong to use the word "concentration" because when you concentrate you are pulling, fighting, pulling power together. In Tai Chi Chuan you do not "concentrate". Instead, you have complete attention, you listen and observe, so you know your body. To know your body through feeling is the beginning of Tai Chi Chuan. Being conscious is the beginning of learning. When we learn Tai Chi Chuan we learn through the form, and practice the form, we are not drilling and not building up a new set of habits; we try to help our body to be free from the tension built up in our lifestyles or daily activities. As the tension diminishes our body becomes more sensitive and our mind can see things more clearly. Our body will be in tune mechanically, and biologically, so we have more subtle feeling of our inner energy, the life energy as well as the mechanical energy. This means that the learning itself is endless, you just go deeper and deeper.